Troubleshoot beep-sound in alarm system! Pacific Security > Blog > house alarm systems > Troubleshoot beep-sound in alarm system! 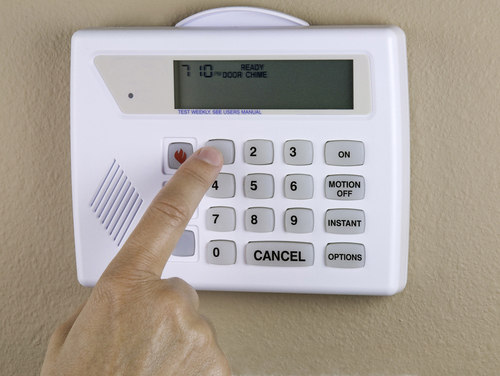 Continuous beep sounds of Alarm systems can cause irritation to the user. No one wants their security system malfunctioned or unavailable at the time when it’s needed the most. When there is a problem in the alarm system, the keypad emits a beeping sound. This is a clear indication that there is something wrong with the system. Low panel battery or power failure can cause this problem and the issue gets worsen up when it’s not rectified and fixed in time. If you are also facing such problems and a continuous beeping sound is getting over your head, we are here to help you. Let’s fix beeping issues of the alarm system together with the help of the tips below. Check alarm notepad for any fault indications. Usually, notepad highlights the faulty area and service icon pops up in case if there is any kind of requirement for troubleshooting the problem. Check if the emitted sound is same as the beeping sound by pressing the button on the notepad. Generally, most of the notepads emit. If there are no signs of fault light and no pop-ups are shown by the notepad, and also the sound emitted after pressing the button of the notepad, the beeping sound is not your alarm’s fault. You must look at the other devices like alarm clock, smartwatch, or even your fire alarm system since it’s common to have a fault in the fire sensor when its battery is down. But in case if your alarm system is responsible for the beep sound, you must check the following catalysts which can make your alarm beep. The alarm system is a complex environment with many self-detection features which can indicate the faults and the catalysts of the faults. By following the user manual and keeping your approach procedural, you can rectify the root cause of the fault and troubleshoot the problems caused by the system. Following are some of the few root cause of the beeping issue in an alarm system. Power failure can occur due to several reasons like a glitch in power input or even malfunctioning in the circuit area. Consider the following points to ensure that the alarm system is getting constant power to work properly. Check whether there is a power-cut or power-failure in your locality. You can check with your neighbors as well. Check the fuse of the circuit board and make sure that all switches are on. Check the power supply of the alarm system is fully functional or not. If the power socket or the power source shows any kind of heating, contact the electrician as soon as possible. Heating of power sockets is a clear indication of malfunctioning of electrical devices. With time, the panel battery needs to be replaced as its performance drops with time. The capacity of a battery to hold charge reduces with time and a new battery is required to make the system fully functional. You can refer to the user manual to find out the type of battery required for the panel of the alarm system you have. Don’t ignore the signs of damage on the battery of the wireless device; it may lead to the failure of the system. System running on a damaged battery can cause cosmetic as well as functional wear & tear to the system. Leakage is a very common issue with the batteries used in wireless devices. Damaged or leaked battery should be disposed-off safely and should be replaced with a new one to make the device run properly. If the lid of the panel box is not closed properly or there are any signs of damage on the box, it may cause the alarm system to make a beep sound. Take two following measures to make sure that the problem may not persist in the future. Make sure that the lid is properly closed and the sensors inside the box are secured. Use the codepad to silence the beep sound of the alarm system. There can be a fault in the siren itself that it keeps beeping without any cause. You can contact any technician to solve this issue or replace the siren by your own. You can use the user manual to install/uninstall a siren and then keypad to install the software. NOTE: – Please note that this information is for general troubleshooting of a System Malfunctioning. It can vary with the different type of alarm systems and isn’t applicable for every alarm system. In case if it’s not helpful, consult a professional to avoid any misfortune and breach in your security system.